Dominating primarily from the 17th century to the 19th century, the Trans-Atlantic slave trade shaped history in ways beyond one could imagine. During this time, we saw this sort of agricultural revolution take place in which the New World was cultivating many crops that were demanded on the global scale. The increase in demand for these crops such as sugar, tobacco, cotton, and many more gave more prominence to the slave labor market in needing wide-scale labor to keep production up with demand (Hogendorn, 1984). As this was a trade system, while slaves were being transported in mass numbers to the New World, West Africa was receiving things such as weapons, rum, textiles and more that they had not previously been able to acquire (Hogendorn, 1984). I give this brief history to give background to the Atlantic slave trade as a way of helping better understand what I am trying to convey. The Trans-Atlantic slave trade was vital in shaping history by changing the economic and social culture of countries across the world. The image below is powerful in showing just how massive the Atlantic slave trade was and the millions of enslaved people that were transported. In studying the economics of the slave trade, researchers have looked at the effects of these mass numbers of slave laborers on country’s agricultural production. Researchers Ralph Austen and Woodruff Smith discuss the effect of the Atlantic slave trade on the British economy, and specifically how the slave trade and sugar trade was vital in affecting this culture by changing British food consumption for a long time (Austen and Smith, 99). They show statistics on how in the late 17th century consumption was at around 4.6 pounds per person, and then show how in less than a century that number spiked to 16.2 pounds per capita (Austen and Smith,99). How does the slave trade factor into this? By the exchange of slaves into South America, Central America, and the Carribean allowing for much greater production of sugar and therefore provided greater trade opportunities that Great Britain acted upon as demand for sugar rose. These vast changes in consumption derive from changes in eating and drinking culture in Great Britain. Seen during this time period were different uses for sugar that were greatly popularized such as using in tea, coffee, in the production of chocolate, and much more. The graph below shows the consumption changes of tea during this time period in Great Britain and the great increase is directly correlated to the great increase in sugar production and consumption previously mentioned. Austen and Smith detail how this change in consumption changed the culture of Great Britain in this sugar consumption being a sign of respectability and higher social class (Austen and Smith 105). Sugar changed the way people interacted, and became a luxurious commodity in not only Britain but many European countries. Without the prominence of the slave trade, it is difficult to say if there would have been such a large economic and consequential cultural impact on Great Britain and the rest of Europe. 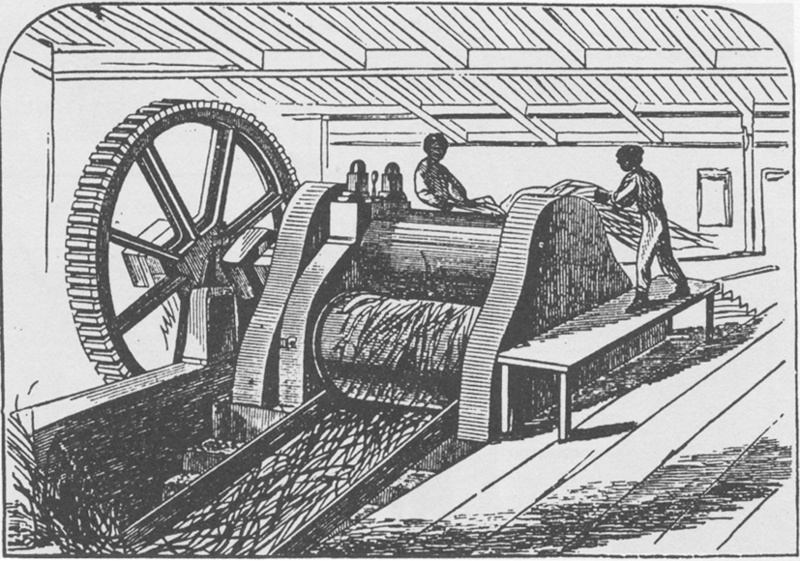 An additional way in which the Atlantic slave trade transformed the culture and economy of Great Britain was through the British textile industry taking off. Joseph Inikori details in his work the statistics behind the textile industry’s growth in that it was one of the sparks of the Industrial Revolution. He specifically argues that while this industry boomed in Great Britain itself, the export market part of it proved difficult but was able to get itself off the ground through the Atlantic slave trade in many ways (Inikori 157). Inikori provides statistical evidence in that these cotton checks were able to produce goods that were valuable to the people of West Africa in the trade as well as providing much of the clothing material for slaves being transported across the world (Inikori 157). By being a way to spark the export market in the textile industry in Great Britain, the slave trade was instrumental in facilitating the beginning of the Industrial Revolution that changed the future of production and economies not only in Great Britain but across the entire world. This map, opposed to the other map, gives much better description what was being traded and how the textile export from Europe and Great Britain specifically was an instrumental component of this massive trade network. On top of these specific examples of the economic impact of the Atlantic slave trade on not only Great Britain but around the world, more generally the slave trade set the framework for the economic potential of a slave labor system. This of course translated to the system of slavery seen in the United States for many decades as well as many parts of South and Central America that were plagued with intensive slave labor systems. When reflecting upon this time period and the effects of the slave trade system, one must first acknowledge the moral horror of this time in the human race’s history as millions of innocent lives were thrown away at the expense of production. The slave trade though is responsible for providing many countries with a new economic impact through agriculture that transformed modern industrial systems as well as affecting countries’ cultures specifically through aspects such as social class hierarchies. In more ways than a few, the Atlantic slave trade changed the path of history as we know it. Engerman, S. L., & Inikori, J. E. (2007). The Atlantic slave trade: Effects on economies, societies, and peoples in Africa, the Americas, and Europe. Durham: Duke Univ. Press. Hogendorn, J. S. (1984). The Economics of the African Slave Trade. The Journal of American History, 70(4), 854-861. William Cadbury brought a lot of controversy and contradiction to his beliefs about the laborers in São Tomé in the early 20th century. He expressed that he wanted to reform labor conditions in Portuguese West Africa by not working with cocoa planters from there (Satre 24). However, what Cadbury said and did were two different things. Cadbury and his comrade, Joseph Burtt created what seemed like a mission to show the public that they would not do business with corrupt purchasing of cocoa beans and would explore the life of black laborers to discover the truth regarding how they were treated (Satre 74). Cadbury proved to be slow to action and did not want to participate in a boycott to maintain good relationships with the Portuguese government even when missionaries advised him that a boycott would help bring positive change to stop slavery and the abuses of laborers (Satre 78). In this work, I argue that William Cadbury carried out a facade to uncover slavery, the cacao laborers’ working conditions, and to help the Portuguese recognize that slavery existed so they would end it. I believe Cadbury intentions were to give his company a positive reputation, so the British would continue to buy Cadbury’s cacao products and disillusion the public that the company was making amends with Portugal to stop slavery in West Africa. Cadbury knew slavery was going on but he did nothing about it. Lowell J. Satre in Chocolate on Trail claims, “The Cadbury company had good reason to be troubled about labor conditions on the island of São Tomé. Management opposed the abuse of workers, yet in 1900, the firm had purchased over 45 percent of its cocoa beans from the island” (18-19). Satre helps us understand that the intentions and goals of the Cadbury Bros company were to remain idle with issues regarding slavery and severe labor abuses. Cadbury’s goal was not to be a humanitarian but to be a profitable capitalist and to maintain close ties with the Portuguese. He felt he needed to have cacao imported from São Tomé, while he turned a blind eye on the need to fight for Africans’ civil rights and warnings from the Anti-Slavery Society that was established in 1839 (Satre 19). Satre further asserts, “Aside from the report that Burtt produced, however, the Cadbury company had in four years accomplished nothing for slaves who produced the cocoa beans” (99). Cadbury sent Burtt to the islands to gather information about the conditions of laborers but it is clear Cadbury was not too concerned about the outcome because he proceeded to give time to the Portuguese to reform and set conditions for laborers to “be paid a minimum wage, 40 percent of which would be placed in a repatriation fund. These new regulations also furnished protection against illegal labor recruitment” (Satre 23). These reforms did not take place and Cadbury failed to reinforce better working conditions (Satre 99). Cadbury advertisements acted as a cover and disillusionment to the public that cacao products were “pure” and innocent when really the production of cacao is exploitative of African labor. The picture entitled, “Drink Cadbury’s Cocoa” below with the couple is not only a marketing tool but is also a tactic to psychologically distract consumers from the cruelty and horrors of slavery by convincing its audience that the product gives a sense of being calm and at peace when drinking the beverage ( “Cocoa Advert with Rower 1885”). Interestingly in small print at the bottom of the ad, it says, “In the whole process of manufacture, the automatic machinery employed obviates the necessity of its being once touched by human hand” (“Cadbury’s Cocoa Advert with Rower 1885”). Cadbury here attempts to persuade his buyers that the process of obtaining (before it gets to the machines that purifies it) the cacao beans is natural and workers are involved in honest and safe labor practices to manipulate people. In reality laborers endure injustices and are falsely promised they have the option to return to their country when their contract has ended, and the workers are barely fed and physically beaten very badly. The abuses that the enslaved Africans faced was unbearable. They underwent harsh psychological and physical trauma. They were separated from their families and sold by West African chiefs or traders unknowing of the European treatment towards their people they were selling (“The Transatlantic Slave Trade”). Some of the Africans decided to kill themselves before leaving their country because they heard rumors of being eaten or were worried about an unknown fate (“The Transatlantic Slave Trade”). The slaves had to be taken to the Europeans on the coast, and they traveled for miles in chains (“The Transatlantic Slave Trade”) like the image below (ZekethePhotographer, “Trans-Atlantic Slave Trade Artifact”). The West Africans were treated as property and commodities. Inadequate nutrition, diseases, sexual abuse, and punishment was extremely taxing to the captives, and many died as a result (“Life on Board Slave Ships”). Better standards since the 1700’s on ships were implemented by the French and British in 1800 but still one in eighteen captives died during sea transportation, and this ill treatment continued far beyond into the twenty century to the enslaved people (“Life on Board Slave Ships”). The picture below illustrates a young enslaved woman being tortured by Europeans as a form of disciplining her for disobeying whatever heinous rules were implemented (“African Woman Slave Trade”). I argue that Cadbury did not care about the black laborers and he only cared about profits. He covered up injustices like shown below that were frequent in the life of slave; being whipped, chained, beaten, raped, not fed or clothed properly, and severely objectified in numerous ways. I believe Cadbury sent Burtt on the trip to Africa and have Burtt write a story to be published of his experiences to distract the Europeans from Cadbury supporting slave grown cacao. Cadbury helped reinforce slavery through his business and supported plantation owners by buying their cacao. Thanks to Cadbury and other chocolate manufacturers of his time, this perpetuated to racism, and Africans and African Americans experience inequality in the workforce, with housing, and more is still seen today. Reforms Finally but are They too Weak? Outbreaks and riots took place in 1953 where several hundred African laborers were killed by Portuguese rulers (“History of São Tomé and Príncipe”). In the late 1950’s this changed and a small group São Toméans formed the Movement for the Liberation of São Tomé and Príncipe (MLSTP) (“History of São Tomé and Príncipe”). The new Portuguese regime disestablished the colonies it constructed overseas (“History of São Tomé and Príncipe”). In 1990 São Tomé became one of the first African countries to embrace democratic reform and changes to its constitution with non-violent actions (“History of São Tomé and Príncipe”). However, child labor has had little improvement. In 2017, São Tomé and Príncipe did little to abolish the worst forms of child labor (“Findings on the Worst Forms of Child Labor – Sao Tomé and Principe”). The government tried to end it by giving resources to support centers to have children stay in school (“Findings on the Worst Forms of Child Labor – Sao Tomé and Principe”). Regardless of the government efforts, São Tomé and Príncipe have child labor occurring in commercial sexual exploitation (“Findings on the Worst Forms of Child Labor – Sao Tomé and Principe”) and partake in hazardous tasks in agriculture (“Findings on the Worst Forms of Child Labor – Sao Tomé and Principe”). The poor resources override law enforcement agencies to enforce child labor laws (“Findings on the Worst Forms of Child Labor – Sao Tomé and Principe”). I further argue that regardless of some of these movements, labor abuses still occur today and we still get cacao from São Tomé with poor regulation of farmers working conditions. Cruikshank, Isaac. “File:African Woman Slave Trade.jpg.” Wikimedia Commons, S.W Fores, 6 Dec. 2017, commons.wikimedia.org/wiki/File:African_woman_slave_trade.jpg. “File:Cadbury’s Cocoa Advert with Rower 1885.Jpg.” Wikimedia Commons, 15 Jan. 2008, commons.wikimedia.org/wiki/File:Cadbury’s_Cocoa_advert_with_rower_1885.jpg. “Findings on the Worst Forms of Child Labor – Sao Tomé and Principe.” United States Department of Labor, 19 Sept. 2018, http://www.dol.gov/agencies/ilab/resources/reports/child-labor/sao-tome-principe. “History of São Tomé and Príncipe.” Wikipedia, Wikimedia Foundation, 21 Feb. 2019, en.wikipedia.org/wiki/History_of_São_Tomé_and_Príncipe. “Life on Board Slave Ships.” National Museums Liverpool, http://www.liverpoolmuseums.org.uk/ism/slavery/middle_passage/. Satre, Lowell J. Chocolate on Trail Slavery, Politics, and the Ethics of Business. Ohio University Press, 2005. “The Transatlantic Slave Trade.” PortCities Bristol, www.discoveringbristol.org.uk/slavery/people-involved/enslaved-people/enslaved-africans/transatlantic-slave-trade/. ZekethePhotographer. “File:Trans-Atlantic Slave Trade Artifacts.png.” Wikimedia Commons, 11 Feb. 2018, commons.wikimedia.org/wiki/File:Trans-Atlantic_Slave_Trade_Artifacts.png. A few months back my aunt Bazat Saifiyyah made a chocolate sauce that everyone in my family went completely crazy over. We would eat it at breakfast, lunch, and dinner. With many different foods such as ice-cream, strawberries when they were in season, spread over toast or just eaten plain. For my blog post I want to explore within the context of my aunt’s recipe, the ingredients that go into it, where does the chocolate come from, the historical backing and also the perception of chocolate and its health benefits. A picture taken by me to show the ingredients that go into the chocolate sauce. The ingredients that go into the chocolate sauce are butter, dark chocolate compound, Hershey’s natural unsweetened cocoa, Hershey’s caramel syrup, icing sugar, milk and fresh cream. The chocolate sauce is made by melting butter over a low heat flame, then add the dark chocolate compound broken up into many pieces. Then after this has melted the milk and fresh cream are added and then whisked until fully mixed. Then after this, the Hershey’s natural unsweetened cocoa powder is added with the icing sugar. After this, the caramel syrup is added. Then the whole mixture is to be whisked over a low flame for two minutes, then it is ready to be eaten. This is a short video that I have taken during the making of the chocolate sauce. What is the history behind the recipe? This is a video that demonstrates the Mesoamerican chocolate making practices. This cacao consumption was picked up by the Spanish during their colonization period. It became an extremely important part of their culture and practices. Then it was picked up by the European colonizers and it became joined with sugar that was also being produced in the colonies. Then came the inventions that changed how chocolate was produced such as conching by Rudolph Lindt in Switzerland, this made the chocolate smooth by breaking down the large particles in a machine. ( P ) Also, the addition of dairy products like milk and cream to chocolate changed drastically how chocolate was enjoyed by many people. Where does the cacao come from? The two chocolate products that go into making this compound are Hershey’s natural unsweetened cocoa and Mordes dark compound chocolate ( CD D16 ). Both these ingredients are processed differently to reach the state that they are in. There is no mention of the product about where the cacao that goes into this process comes from. This makes the cacao completely anonymous. There is a lot that goes into the cacao bean and if it is made so anonymous its history is wiped away and its variety and subtleties are emitted out of the chocolate making process as nobody knows where it originates from. This chocolate is also another example of the anonymity of the cacao bean today. The ingredients that go into making this bar are as follows, Sugar, Edible Vegetable fats, Cocoa Solids and Emulsifiers ( 492, 322 ) CONTAINS ADDED NATURAL (VANILLA) FLAVOURING SUBSTANCES, Hydrogenated Vegetable Fat Used- Contains Trans Fats. This bar does not have a cacao percentage in it however it has cocoa solids, so it does not have cacao butter in it. This is a video that demonstrates how chocolate bars are made today. This is a video that demonstrates the history and founding of Hershey’s chocolates. After knowing some of the history behind chocolate and everything that has gone into making it, one can eat the chocolate sauce with more understanding of what actually goes on in the making of it. Sugar, the gateway good to slavery, racism, and wealth. When Americans think “slavery” they most likely picture the one below, a middle school taught history of blacks on southern plantations underneath the blazing sun picking cotton for hours a day with little pay or none. The symbolic image of a whip for lashings might also come to mind, or the political divisiveness caused by the institution necessitating a Civil War that still lingers in the air today. Maybe they remember a bit more than average and can recall tobacco as the first American “cash crop”, or can picture the simplistic, triangular slave trade as the united states imported bodies from Africa and exported goods to Europe. All these thoughts and perceptions however, stem from the misconception of slavery being uniquely held to North America with some involvement from the British, and negates the truth of slavery preceding colonization into the new world of the Americas with the United States’ component having only a minimal impact. This is important as one must first understand slavery and the slave trade in the new world at it’s conception to fully grasp the context of slavery in the United States. To do this, one must see sugar as the crop that financed the origins of the slave trade, and not the cotton or tobacco crops of North America. Once you do this, you realize that the simple triangular slave trade, is not so simple, and looks more like the one seen below. By this point sugar production was the result of nearly 200 years of entrepreneurial advancements to take advantage of the high demand in Europe (I use the term “advancement” loosely and only related to the increase in sugar production, regardless of the morals surrounding them). Some of the advancements made were notable, a steam engine to better crush and separate the sucrose from the sugar cane, seen below, or a locomotive to move sugar cane from far out fields on the plantation. Other “advancements” were more logistical, such as methodical record keeping and note taking. Perhaps the most important, although, had to be the development of the coordinating to transport free labor across the atlantic and putting them to work on sugar plantations. It’s hard to argue that sugar production would become as lucrative as it was, when it was, without the use of free labor, so it’s easy to see how the exploitation of Africans directly led to wealth growth in European nations who participated. However, not only did Europeans exploit the use of labor from Africa, they exploited the use of land from much of the Americas. By exporting virtually everything those colonies created back to the mother-country, the countries who were producing the most lucrative crops on the planet never saw a share of the wealth created. This relative economic stagnation could explain why many countries which were once occupied by European ones, today remain rather poor and play catch up to the rest of the world. Hardy, William. “Riches & Misery: The Consequences Of The Atlantic Slave Trade.”OpenLearn, The Open University, 25 Feb. 2014, http://www.open.edu/openlearn/history-the-arts/history/riches-misery-the-consequences-the-atlantic-slave-trade#. Hersh, Jonathan, and Hans-Joachim Voth. “Sweet Diversity: Colonial Goods and the Rise of European Living Standards after 1492.” SSRN Electronic Journal, 2009, p. 9., doi:10.2139/ssrn.1402322. “Slavery in the Caribbean.” National Museums Liverpool, http://www.liverpoolmuseums.org.uk/ism/slavery/archaeology/caribbean/. The Atlantic slave trade was much more complicated than your middle school teachers may have lead you to believe. Common knowledge rarely acknowledge the complexity of the economics of the slave trade, its far-reaching consequences, and the specific, long-lasting impact it had in cacao growing regions. The slave trade presented challenges to the chocolate industry as it pitted economic necessity against shady moral practices. I argue that over the course of its history, the slave trade created such profound inequalities that even though it was abolished in the mid- to late-1800s, the essence of slavery still exists today. The Atlantic slave trade had in the New World. Europeans forced indigenous populations to work which produced a dangerous power dynamic from which the Europeans benefitted for centuries. The Europeans that migrated to the Americas would encroach on indigenous land. By taking ownership of that land, the settlers forced those residing on it already to work for them under extremely undesirable conditions, especially in cacao growing regions where the days were long and unimaginably hot. This developed into “chattel slavery” which means that those enslaved were regarded as property and could be traded as a commodity (Martin lecture). As they burned through the indigenous population, Europeans were pressured to meet a growing demand for labor. They found a new source in Africa. In order to understand the connection between slavery and cacao, we must first understand under what conditions the slave trade developed in cacao growing regions. Rodney explains in his article that “slavery prevailed on the African continent before the arrival of the Europeans” which implies that African society was susceptible to European manipulation (Rodney, 431). Europeans looked to Africa simply because they needed more cheap labor and the western coast was the most economically viable. On top of the preexisting societal structure, the addition of the Atlantic slave trade proved disastrous and demonstrates why “it was [that] only after two and a half centuries of slave-trading that the vast majority of the peoples of the Upper Guinea Coast were said to have been living in a state of subjection” (Rodney, 434). The compounded effect of the Atlantic slave trade on the already-problematic African regions left lasting impacts on its people and culture. Take a look at this video by Anthony Hazard and published by TED-Ed which details the nuances of the slave trade. This video points out how the culture of Africa was heavily affected by the Atlantic slave trade. Europeans would pit tribes against each other. This created an environment where Africans of different communities would be abducting each other to sell into slavery across the Atlantic in exchange for weapons or safety. The video uses simple animation and voiceover to convey how uniformly destructive the slave trade was to the African economy and culture. As the abolition movement emerged, the Atlantic slave trade began to change. The abolition movement always existed among slaves and gained momentum after the Haitian Revolution in 1789. This was a pivotal moment because it was the biggest slave revolt to date. At the time, Haiti was an exceptionally valuable asset to France because it exported nearly half of the world’s coffee and sugar (Martin lecture). A significant amount of people depended on the slave trade, either directly or indirectly, through the products it produced. For the enslaved population to overthrow such a dominant colonial power inspired others across the world and spurred the abolition movement forward. Slowly, the Atlantic slave trade began to diminish. Finally, in 1888, Britain was the last place to abolish slavery. Yet, the abolition process was gradual and hard-fought. You can plainly see in the picture how it was satirized for its very slow implementation. This image is particularly relevant because it incorporates the dependence on sugar that Europeans had formed. Mintz writes that sugar “had become an essential ingredient in the British national diet” and that “it was consumed daily by almost every living Briton” (Mintz, 187). The fact that he uses words like “national diet” is significant. It implicates everyone in the consumption of sugar. Since sugar is a common ingredient used with cacao, this figure really identifies how everyone is implicated in the slave trade as an extension of consuming sugar and chocolate. This speaks to the reason for the delay in abolishing it: the final product was too tantalizing and the consumers were too far removed. This is also representative of our mentality today. The Atlantic slave trade left deep-seated damage to the African regions which it affected, the most important of which is the legacy of slavery. There was a compounded effect as the emphasis shifted to cacao growing regions for mass production. Today, “[a]pproximately two-thirds of the cocoa destined for the world market is produced on West African farms” (Manzo, 529). The exploitative power dynamic is still so strong that modern day slavery still exists in the form of coerced labor. Watch this video to catch a glimpse of what life is like for a child working on a cacao farm on the Ivory Coast today. After slavery was largely abolished in the Americas around 1850, the geographic regions where cacao was being grown changed. The focus transferred to Fiji, Mauritius, and the Ivory Coast, as seen in the video. In this shift, “many small farmers [became] dependent for their livelihood on cocoa, and it is this smallholder production that accounts for most of the large increase in production and export from the Ivory Coast in the 1990s” (Manzo, 529). This is significant because it demonstrates how when colonial powers “abolished” slavery they just created a vacancy for multinational companies to exploit deprived workers who were already suffering from the consequences of the slave trade. The parallels between the old slave trade and modern day child slavery are substantial. The modern day-version still sees the power struggle between powerful landowners who offer an exchange for laborers. This turns Africans against each other. You can see this situation play out in the video where the boy was brought to the cacao farm when his father died. Another parallel is the forced labor in extreme conditions with unsatisfactory clothing. Modern day laborers are being “paid” in the form of room and board but this prevents them from accumulating any considerable amount of money that would allow them to leave, just like colonial powers used to enslave entire families based on who was living on their property. Even though the slave trade has developed and adapted over the past hundreds of years—even after it has been “abolished”—there is no question that slavery still exists today. Furthermore, it implicates everyone (just as it did back then) because it is the chocolate industry that is exploiting people. It follows that because we all consume chocolate, we all are culpable in its prolonging. This means that it is up to the consumers to stop distancing themselves from the origins of their chocolate and learn about the production of cacao. Manzo, Kate. “Modern Slavery, Global Capitalism & Deproletarianisation in West Africa.” Review of African Political Economy, vol. 32, no. 106, 2005, pp. 521–534. Martin, Carla. “Slavery, Abolition, and Forced Labor.” AFRAMER 119X. Harvard University. CGIS South, Cambridge. March 1. 2017. Lecture. Mintz, Sidney W. Sweetness and Power: The Place of Sugar in Modern History. New York: Penguin, 1985. Print. TED-Ed. “The Atlantic slave trade: What too few textbooks told you – Anthony Hazard” December 22, 2014. Web. March 6 2017. <https://www.youtube.com/watch?v=3NXC4Q_4JVg&t=1s&gt;. BreakingNews56. “Chocolate Child Slaves-CNN.” Jan 16, 2012. Web. March 6, 2017. <https://www.youtube.com/watch?v=eHDxy04QPqM>. Cruikshank, Isaac. The Gradual Abolition of the Slave Trade: Or Leaving of Sugar by Degrees in 1792. Digital image. Website: <http://activehistory.ca/2010/06/%E2%80%9Cwhen-people-eat-chocolate-they-are-eating-my-flesh%E2%80%9D-slavery-and-the-dark-side-of-chocolate/&gt; N.p., n.d. Web. 7 Mar. 2017. <http://activehistory.ca/wp-content/uploads/2010/06/The-Gradual-Abolition1.jpg&gt;. By the late 19th century, Cadbury had become a renowned chocolate manufacturer and humanitarian enterprise with a model factory in Bournville providing accommodating working conditions (Coe and Coe 242). However, Cadbury was soon swept into a controversy surrounding claims of slavery on São Tomé and Principe, one of the firm’s major suppliers of cacao. The documentation of Joseph Burtt, who was appointed by Cadbury to visit São Tomé, was not published until almost a decade after William Cadbury first learned of slave labor in the islands. This delay as well as the firm’s deferment of boycotting São Toméan cocoa brings to question the company’s business ethics. Ethical scrutiny should extend not only to the Cadbury corporation but also to the Portuguese and British political bodies; however, a principal cause of the delayed and arduous path to reform stemmed from Cadbury’s prioritization of business incentives over moral practices. Cadbury’s model factory in Bournville provided adequate housing and hospitable facilities (Cadbury). The idealistic working conditions of Cadbury workers in Britain were a stark contrast to the brutal labor practices on cacao plantations in São Tomé, where enslaved people provided cacao for major British chocolate firms. British journalist Henry Nevinson traveled to Africa in 1904 and helped expose the unethical practices of cacao labor. The servicais, or “contracted laborers,” in São Tomé were actually slaves brought from Angola; although a Portuguese decree of 1903 required the option of repatriation after a five year labor contract, none of them actually returned to Angola (Satre 8-9). Plantation owners paid their laborers less than what was required by the decree and renewed their contracts without consulting the servicais; the Portuguese government, unconcerned by these breaches of law, were often encouraging Angolan natives to commit crimes so they could be enslaved, furthering the government’s economic self-interest through the money-making benefits of the slave trade (Satre 8, 11). Not only did the Portuguese deny slavery, British authorities also seemed to refrain from thorough investigations, perhaps because Britain depended on labor in the islands (Off 60). Both Portuguese and British authority figures were driven by the economical benefits of facilitating, rather than obstructing, slave labor practices. Henry Nevinson actively reported on the slave labor he had witnessed in Portuguese West Africa (Wikimedia Commons). His outspokenness was often unfavored by the Cadburys, who believed explicit coverage of slavery would complicate the chocolate company’s business incentives or the Foreign Office’s diplomatic approaches to Portugal. Though called “indentured servants,” enslaved Angolans were forcibly brought to São Tomé to work on cacao plantations under dire conditions, for the benefit of companies like Cadbury (Nevinson). In contrast to Nevinson, who published reports on slavery immediately after returning to Britain, the Cadburys took considerably more time in taking action (Satre 12). When William Cadbury visited Trinidad in early 1901, he heard claims of slave labor in São Tomé and traveled to Lisbon in 1903 to investigate. Despite hearing from some Portuguese plantation owners that the decree of 1903 would end labor abuses, missionaries to Africa and British authorities strongly doubted the new decree would mediate any genuine reform (Satre 23-24). Despite testimony confirming brutal labor, William provided an optimistic report to his firm: “I cannot but feel that things are going to mend a little … the onus of this will lie on the British” (Satre 24). When appointing an agent to investigate the situation in Portuguese West Africa, the Cadburys chose the rather incompetent Joseph Burtt over more experienced yet more outspoken researchers such as Nevinson (Satre 32). The fact that Burtt was encouraged to approach plantation owners amicably and spent almost two years traveling in Africa imply that the ordeal was not perceived as a significantly pressing issue (Satre 32). Slave Quarters in São Tomé – English chocolate manufacturers like Cadbury were indirectly employing one-third of the slaves on São Tomé (Nevinson, Satre 82). Cadbury may have stalled for time to secure an alternative cocoa supplier through the help of their cocoa buyer Edward Thackray, who began his research shortly after William heard of the slave labor in 1901 (Higgs 135). This may explain why the Cadburys agreed to the British Foreign Office’s suggestion to delay the publication of Joseph Burtt’s documentation (Satre 92-93). During this delay, the Foreign Office tried to amicably push the Portuguese towards reform, and Thackray escalated his search (Higgs 135). This delay may have also benefited the British government, which was wary about aggravating the Portuguese, key trading partners who could provide cheap labour forces for their holdings in Africa (e.g. diamond mines in Transvaal) (Off 65-66). For Cadbury and the British Foreign Office, a cautionary approach would help preserve their standings as business or economic powerhouses. William Cadbury persistently rejected suggestions by Nevinson and others to boycott São Toméan cocoa, placing economic reasons at the fore of his argument; boycotting would ruin Cadbury’s buying influence and the valuable cocoa would be “very readily absorbed by other nations” (Higgs 137). Newspapers criticized Cadbury, and the company chose to sue the Standard for libel. Before their trial in 1909, William traveled to São Tomé, though the primary reason for this voyage may have been to confirm cocoa export possibilities in the Gold Coast. In his 1910 diary entry, Nevinson recorded a conversation between cocoa traders implying Cadbury had to verify Gold Coast production capacities before cutting ties with São Tomé (Off 71). Only after William’s trip did Cadbury decide to stop buying São Toméan cocoa, for an alternative source had been secured (Off 69). Almost a decade had passed since William first learned about the slave labor, and the business implications of this could only be magnified during the prosecution of the Standard trial; Cadbury had imported £1.3 million ($6.3 million) worth of São Toméan cocoa between 1901 and 1908 (Higgs 151). Cadbury had partaken in the investigation of slave labor on São Tomé but profit and quality of cocoa came first and foremost. Burtt’s documentation was not published for the British public until 1910, almost a decade after William Cadbury first learned of São Toméan slavery (Internet Archive). This adds to the controversy of whether Cadbury was truly proactive in mediating reform in cacao labor practices. Cadbury had also attempted to discourage Nevinson from publishing another report on slavery, and The Daily News, owned by George Cadbury, remained quite reticent on the subject of São Tomé (Satre 82). This further implies that Cadbury was concerned with the effects on chocolate sales if more explicit coverage of São Tomé was released to the public (Higgs 151). The years Cadbury spent on silence or reliance on the British government cannot excuse the abuse or death of thousands of laborers while the company continued to profit from the cocoa sourced from São Tomé. Had it not been for individuals such as Nevinson, who favored “publicity, not silence,” the public’s awareness of cacao slave labor would have been limited (Satre 85). Had Cadbury provided an example by boycotting sooner and working with British authorities to press the Portuguese in a more threatening rather than cautious manner, reforms may have come sooner. In actuality, nearly a decade passed and Cadbury’s cautionary approach did not lead to substantial reform, as slavery persisted and the Portuguese continued to abuse their power to operate unfair labor practices (Higgs 153). The slow path to reform surely stems in part from corruptive flaws within the Portuguese and British political systems; however, Cadbury also shared a significant responsibility through their inclination to place their business before all else. For Cadbury, divided between jeopardizing their economic prospects and tainting their philanthropic reputation, securing other sources of cocoa was pivotal for their business success. This case study of Cadbury offers perspective into pressing labor problems even today, such as child labor and human trafficking; when political, economic, and moral issues become intertwined, it is critical that we ethically prioritize and preserve the welfare of human beings. An LMS Railways Advertisement – Bournville. Cadbury. Cadbury. https://www.cadbury.co.uk/the-story. Accessed 4 March 2017. Coe, Sophie, and Michael Coe. The True History of Chocolate. 3rd ed., Thames & Hudson, 2013. Henry Wood Nevinson. Library of Congress. Wikimedia Commons. https://commons .wikimedia.org/wiki/File:Henry_Woodd_Nevinson_(1856-1941)_circa_1915.jpg. Accessed 5 March 2017. Labour in Portuguese West Africa. Claire T. Carney Library. Internet Archive. https://archive.org /details/labourinportugue00cadb. Accessed 5 March 2017. Martin, Carla. 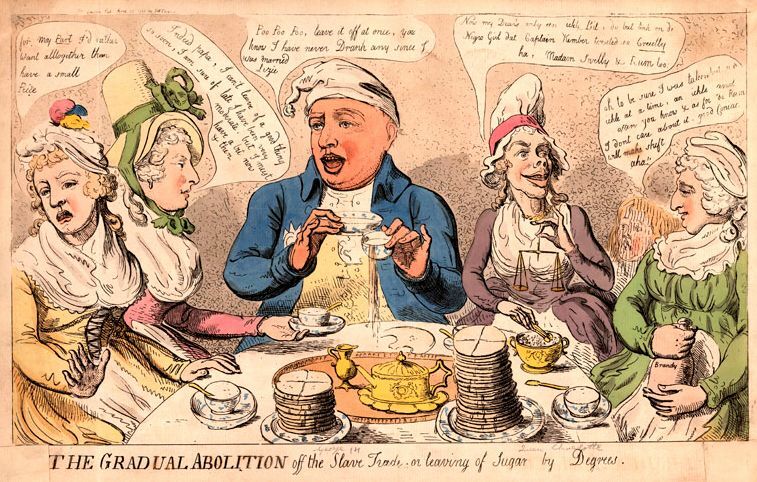 “Lecture 6: Slavery, Abolition, and Forced Labor.” Chocolate, Culture and the Politics of Food. Harvard University: Cambridge, MA. 1 March 2017. Lecture. Nevinson, Henry. Slaves on Ship, Wearing Tin Disk and Cylinder. Photograph. “The Slave-Trade of To-day: Part VI.” Harper’s Monthly Magazine, Jan. 1906, pp. 237-246. Nevinson, Henry. Slave-Quarters on a Plantation. Photograph. “The Slave-Trade of To-day: Conclusion.” Harper’s Monthly Magazine, Feb. 1906, pp. 327-337. Off, Carol. Bitter Chocolate: Anatomy of an Industry. The New Press, 2006. Satre, Lowell. Chocolate on Trial: Slavery, Politics, and the Ethics of Business. Ohio University Press, 2005. In Eric Weiner’s 2008 book, The Geography of Bliss, he states, “ingredients that we consider essential to the hearty sew of happiness: money, pleasure, spirituality, family, and chocolate” (2). His modern, North American viewpoint may be shared by many, however, as we look back to the origins of one of his “essential” happiness ingredients: chocolate – and more specifically, the sugar that is used to sweeten it – we find that a very high human price has been paid to acquire it. The original workforce was supported by the encomienda system. This was a grant implemented by the Spanish crown which allowed colonists to demand tribute from indigenous inhabitants in exchange for care, protection, and Christian education. (Martin “Slavery”). However, due to illness, maltreatment, and excessive overwork, the indigenous population declined from “25.2 million in 1519 to 16.8 million in 1532 and 0.75 million in 1622” (Goucher, 491). As the native populations of entire villages disappeared, Europeans turned to other available sources of labor to toil on their newly claimed lands. To meet the seemingly insatiable demand for sweetness (up to 20,000 tons of sugar produced for English consumers each year), an estimated labor force of 50,000 African slaves was required (Martin “Slavery”). However, the slaves who toiled on English plantations comprised only a portion of the approximately 10 to 15 million enslaved Africans who survived forced transport across the Atlantic from 1500-1900 (for every 100 enslaved Africans who reached the New World, another 40 died in Africa or during the Middle Passage) (Martin “Slavery”). For those who survived the Middle Passage life was, in the words of the philosopher Thomas Hobbes, “nasty, brutish and short.” Working conditions were “so extreme that the slave population never achieved a significant growth rate and depended entirely on African importation to sustain production” (Martin “Slavery”). However, indigenous populations were never given back their lands, slaves (or their descendants) were rarely repatriated and racism and economic inequality still persist today. In the pursuit of happiness, it is possible that one cannot have or desire too much chocolate or the sugar that sweetens it, but it is important to know and respect their true cost as it is impossible to reverse history or give back life. Goucher, Candice, Charles LeGuin, and Linda Walton. Commerce and Change: The Creation of a Global Economy and the Expansion of Europe. In the Balance: Themes in Global History. Boston: McGraw-Hill. 1998. Europe Supported By Africa & America. BEAUTIFUL, ALSO, ARE THE SOULS OF MY BLACK SISTERS. https://kathmanduk2.wordpress.com/2007/08/14/europe-supported-by-africa-and-america/. N.p. N.d. Web. 11 Mar. 2016. Martin, Carla D. “Popular sweet tooths and scandal.” Chocolate, Culture, and the Politics of Food. Harvard Extension School: Cambridge, MA. 24 Feb. 2016. Class Lecture. Martin, Carla D. “Slavery, abolition, and forced labor.’” Chocolate, Culture, and the Politics of Food. Harvard Extension School: Cambridge, MA. 20 Feb. 2016. Class Lecture. Mintz, Sidney. 1986. Sweetness and Power: The Place of Sugar in Modern History. New York: Penguin Books. The African-American Migration Experience. In Motion. http://www.inmotionaame.org/. N.p. N.d. Web. 11 Mar. 2016. Weiner, Eric. The Geography of Bliss. New York : Twelve, 2008.